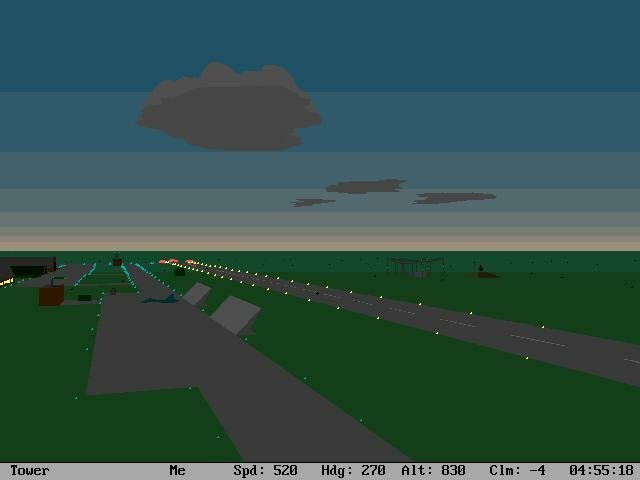 This visually unassuming flight sim took more work than you’d think. SSI’s SU-27 Flanker is a team effort spanning two regimes that were once vehemently at odds with each other, to say the least, as developing a top-of-the-line Russian jet simulation would never have been possible if the guys at Eagle Dynamics (a Moscow-based company) didn’t have access to the jet and the full cooperation of its crews and technical staff, not to mention the required approval from the Russian military itself to deliver the sim to a largely American audience. Thank the thawing of the Cold War for such possibilities, as the sim is a pretty rock solid Falcon 3.0 match. 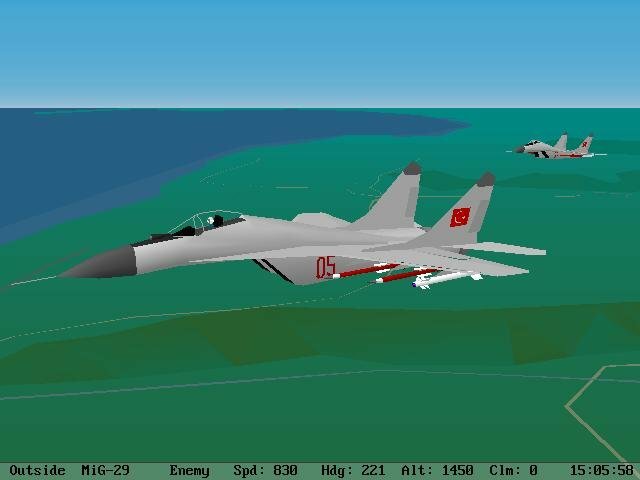 Like Falcon 3.0, SU-27 Flanker is a deep, challenging sim with a great design and a lot going for it. But also like Falcon 3.0, it also innitially started out with some unfortunate bugs that would have been removed if it not been released prematurely for the christmass season. Those bugs were eventually fixed via subsequent patching, fortunately, so let’s get into the thick of it and see what makes this vintage flight sim tick. The Su-27 is, along with the MiG-29, one of Russia’s premier air superiority fighters. Called “Flanker” by NATO countries, the Su-27 was created by the Sukhoi design bureau in the 1970s as an answer to the U.S. Air Force’s F-15 Eagle. Designed as an interceptor and air superiority fighter, it has also been adapted for ground-attack roles, much like the Eagle. 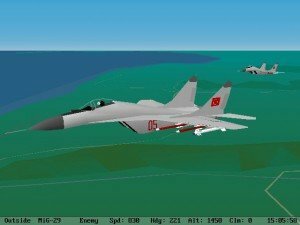 Some of the Su-27’s unique characteristics include a complex fly-by-wire system, a high degree of maneuverability, “jam-proof” radar, helmet-mounted target designator, and standoff, look-down / shoot-down capabilities. Its sophisticated and powerful engines keep up thrust in even the most extreme conditions and buffeting. This allows for astounding maneuvers like the show-stopping Pugachev’s Cobra, in which the Su-27 achieves a rapid deceleration by pulling into a 100-degree angle of attack, then leveling off in a matter of seconds. All of which is possible in Su-27 Flanker, thanks in no small part to a group of Russian aerospace professionals and programmers with intimate knowledge of the Su-27. 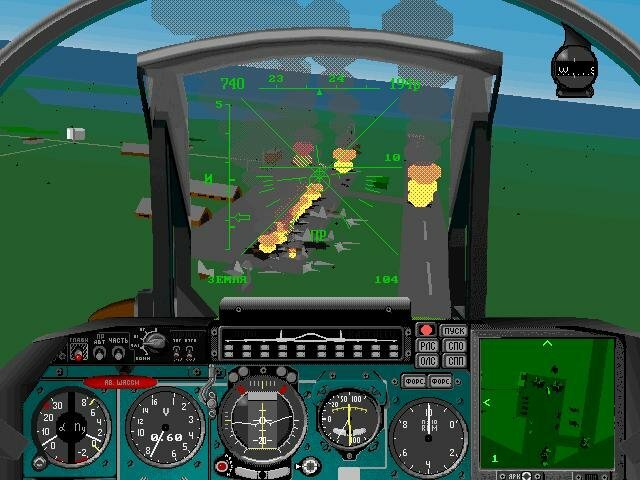 They have created what is unquestionably one of the most accurate combat flight simulators ever. 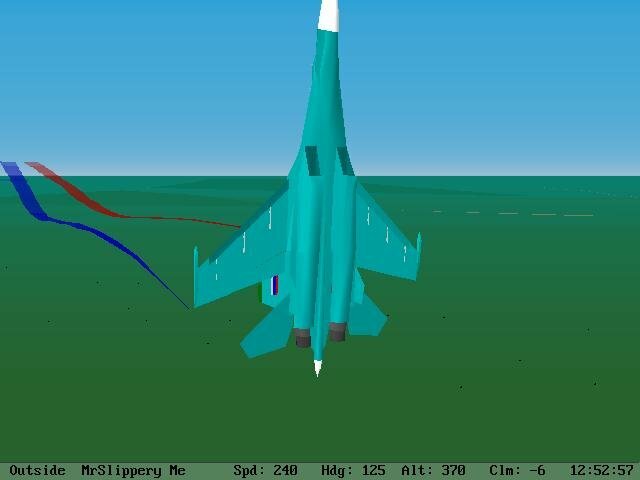 Su-27 Flanker has rigidly authentic modeling of such flight dynamics as stalls and buffeting. 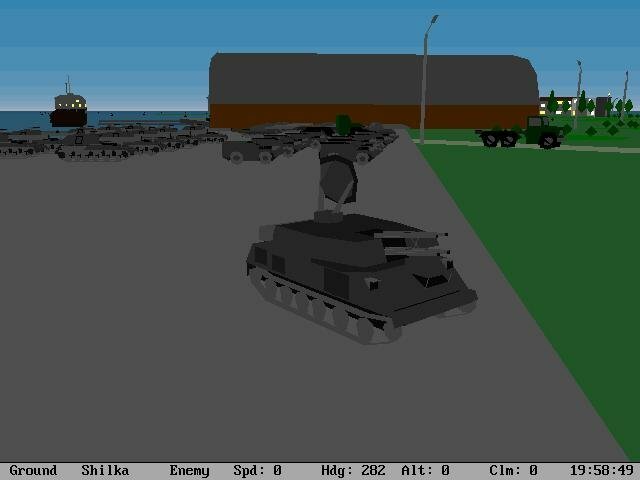 The game’s designers have created tough computer opponents who perform realistically in each mission. 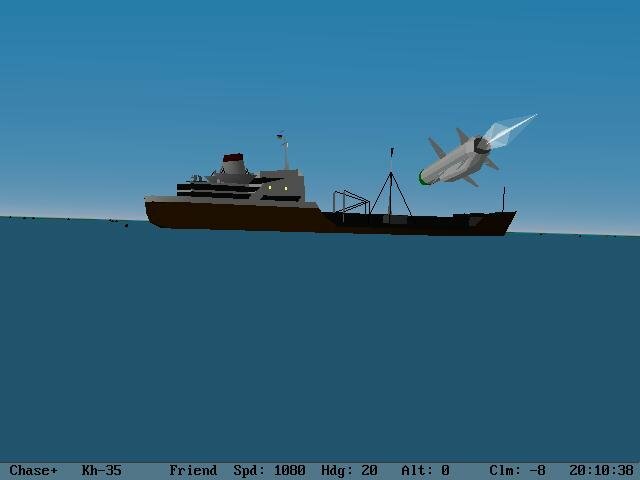 There’s also a diverse mix of complex missions (including dusk and night-time missions), and an elaborate mission editor. In accuracy and complexity, it surpasses Falcon in many areas. The interface is designed around a map of the mission area: in this case, Crimea, a hot spot in the Black Sea just below the Ukraine. It’s the only theater of battle, but it provides a diverse enough environment to keep missions interesting. The game map displays the current mission, with icons representing every unit in the field. At this level, you have absolute control over the composition of missions. 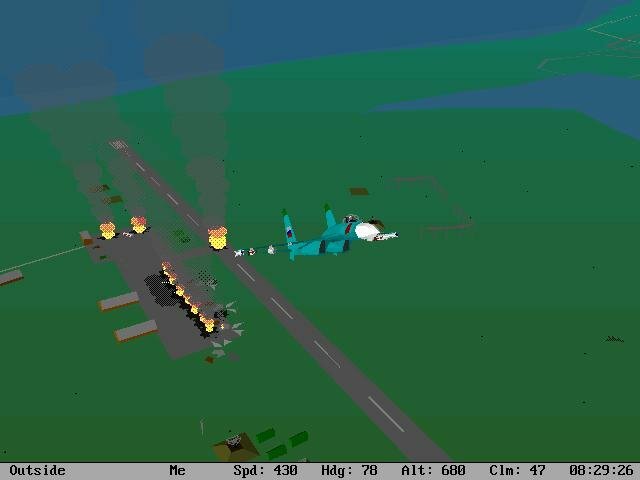 You can change force dispositions or mission parameters, add or subtract aircraft, or create entirely new missions by placing friendly and enemy air, sea, and land forces. It’s very easy to use, with simple icons and countless options for tweaking missions by changing such things as damage states, loadout, altitude, and so on. 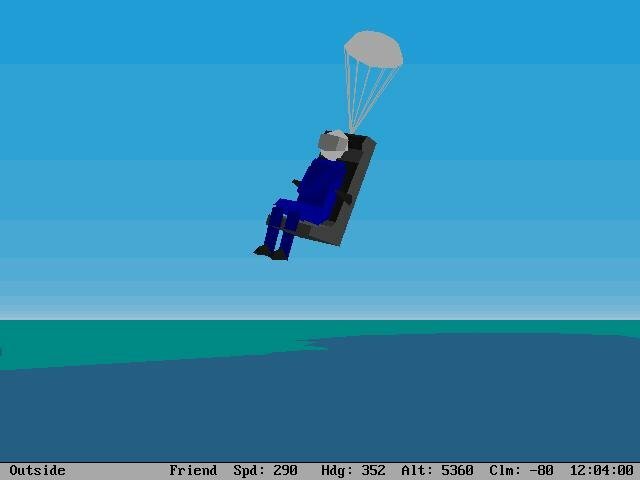 This is the best mission editor seen in any sim, bar none. A view of the cockpit. 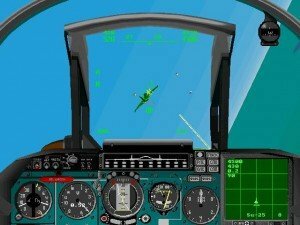 In flight, Su-27 is no less impressive. 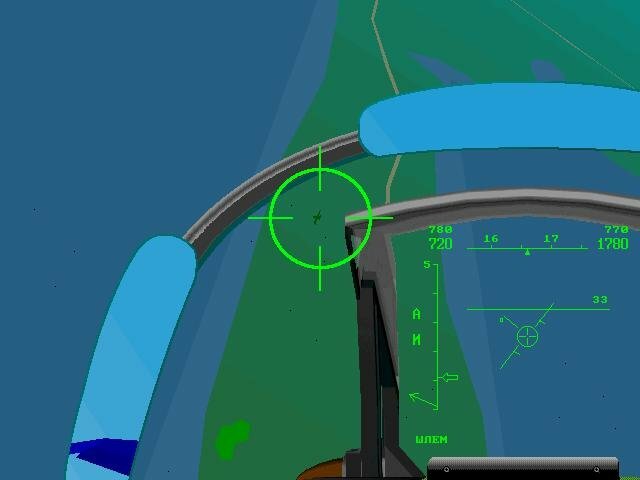 The aircraft handles incredibly, and while it doesn’t look like U.S. Navy Fighters or Flight Unlimited, the graphics are mostly terrific (though the sun looks awful and there are no clouds), and the frame-rate is silky smooth. The strength of this sim, however, is in how it flies and in the detailed missions. Handling and combat is totally engaging, with smart enemies in both the air and on the ground. Myriad views, including head-swivelling, padlock views, and extensive exterior views, are offered, as well as a great mission recorder. In short, this is an elaborate sim which, although unassuming graphically and hard to be comfortable with, hits hard when it comes to realism.